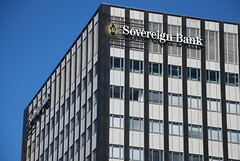 Sovereign Bank, a wholly-owned indirect subsidiary of Banco Santander, S.A. announced today that it has received formal approval from federal regulators to convert from a savings bank to a national bank. Additionally, Santander Holdings USA, Inc., which directly owns Sovereign Bank, has received approval to become a bank holding company. The respective conversions will take effect in early 2012. The conversion to a National Bank charter is just one of several major initiatives underway to strengthen Sovereign and Santander’s position in the United States. The shift to a National Bank provides Sovereign with greater flexibility to meet the financial needs of more clients and customer segments, including in particular, large corporations. To support the Bank’s continued growth, Sovereign has been making significant investments to implement Santander’s state-of-the-art information technology platform. Santander Holdings USA, Inc. (SAN.MC, STD.N) is a wholly owned subsidiary of Banco Santander, S.A., and wholly owns Sovereign Bank and Santander Consumer USA. Banco Santander is a retail and commercial bank, headquartered in Spain, with a presence in 10 main markets: Spain, Portugal, Germany, the UK, Poland, Brazil, Mexico, Chile, Argentina and the U.S. Founded in 1857, Santander more than 100 million customers, 14,709 branches – more than any other international bank – and more than 190,000 employees. For more information on Santander, visit http://www.santander.com. Sovereign Bank is a financial institution with principal markets in the northeastern United States. Sovereign has more than 700 branches, nearly 2,300 ATMs, and approximately 8,000 team members. For more information on Sovereign Bank, visit http://www.sovereignbank.com or call 877-SOV-BANK. Santander Holdings USA, Inc., Banco Santander, S.A. and Sovereign Bank caution that this press release contains forward-looking statements within the meaning of the U.S. Private Securities Litigation Reform Act of 1995. These forward-looking statements include, without limitation, statements concerning our future business development and the impact of Sovereign Bank’s charter conversion. While these forward-looking statements represent our judgment and future expectations concerning the development of our business, a number of risks, uncertainties and other important factors could cause actual developments to differ materially from our expectations. These factors include, but are not limited to: (1) general market, macro-economic, governmental and regulatory trends; (2) movements in local and international securities markets, currency exchange rates, and interest rates; (3) competitive pressures; (4) technological developments; and (5) changes in the financial position or credit worthiness of our customers, obligors and counterparties. The risk factors and other key factors indicated in our past and future filings and reports, including those with the U.S. Securities and Exchange Commission, could adversely affect the development of our business. Other unknown or unpredictable factors could cause actual developments to differ materially from those in the forward-looking statements. 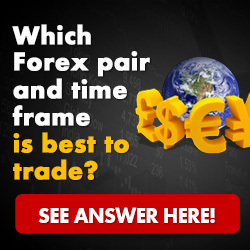 The information contained in this presentation is subject to, and must be read in conjunction with, all other publicly available information. Any person at any time acquiring securities must do so only on the basis of such person’s own judgment as to the merits or the suitability of the securities for its purpose and only on such information as is contained in such public information having taken all such professional or other advice as it considers necessary or appropriate in the circumstances and not in reliance on the information contained in the presentation.